Ask does not provide services to those under 16. They suggest if you are under 16 to not use their services. They collect your information from various ways including cookies, information provided to them when you sign up, third-parties, and through other tracking technologies. You do not need to provide personal information when using their search engine. You may share your information if you sign up for products or services through them, request help for their products and services, participate in social events, and contact them about employment opportunities. 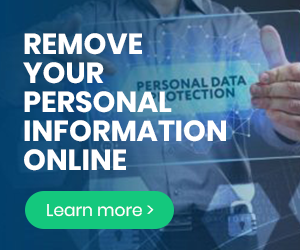 When they collect your personal information they may collect your name, email address, username, home address, telephone number, information posted by you through their services, and from any help request from you to Ask. You do not need to share sensitive information with them and they suggest not to do so. Provide services you have requested. Compensate their third-parties that they use. Send you emails to communicate with you. Send advertisements to you that you can relate to. In case of fraud to protect you. You have a choice to share your information with Ask. In some circumstances you may be required by law to share your information. Using their search engine does not require the sharing of any personal information. Not use Ask’s search engine. Not send them a request for more information or marketing information. Ask them any questions through email. Comply with their terms and conditions to avoid legal issues.